My love of salt is well documented on this blog here, here and here. Lately we’ve taken it a step further, chillaxing in a room completely covered in salt, while a mixture of salt and air is pumped in to the “cave” like a fine spray. 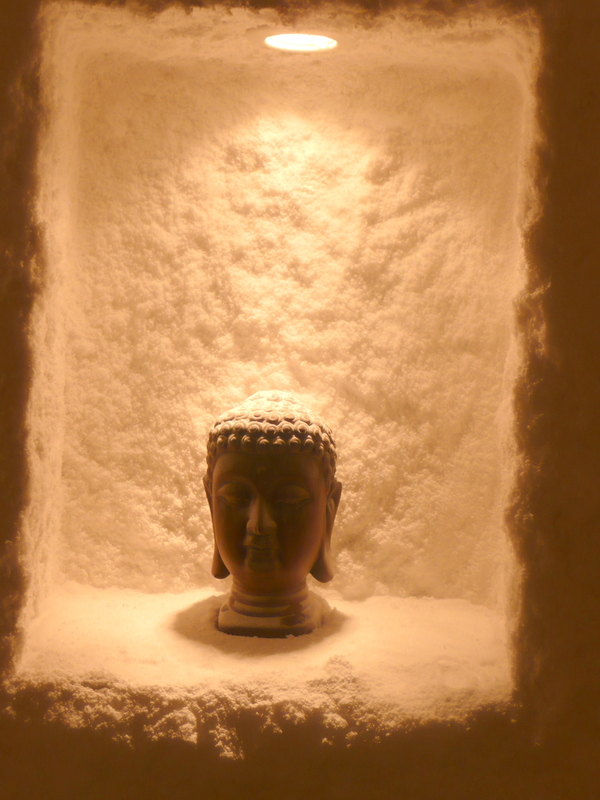 Our reason for hanging out in this white relaxing room is to reduce 7- year- old’s hay fever which is now in full swing. We’ve been before to lessen his non stop cough during winter months. Hippocrates, the father of modern medicine was well into salt inhalation, he recommended inhaling the steam from boiling salt water and in late 19th century physicians in Poland realized that respiratory illnesses were basically non-existent among the salt miners. I have always wanted to visit the Wieliczka Salt Mine in Poland until that happens the Salt Cave in south London will do just fine. 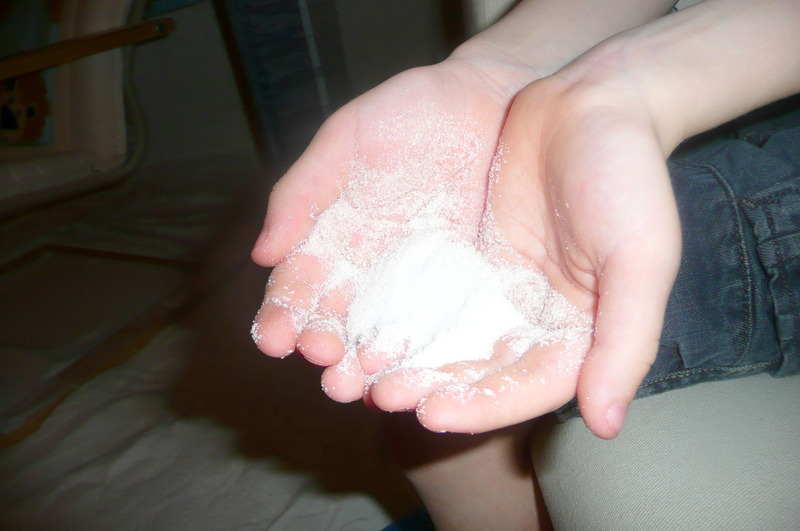 The negative ionized salt particals that are sprayed into the room, works their way into the respiratory system, clears the mucus, reduces the inflammation and makes breathing easy. It’s completely natural, there are no side effects -and it’s helping! It’s recommended for respiratory illnesses like asthma, bronchitis and hay fever, also good for skin conditions like eczema. Oh yes, It’s good for snoring as well! A session is an hour-long. 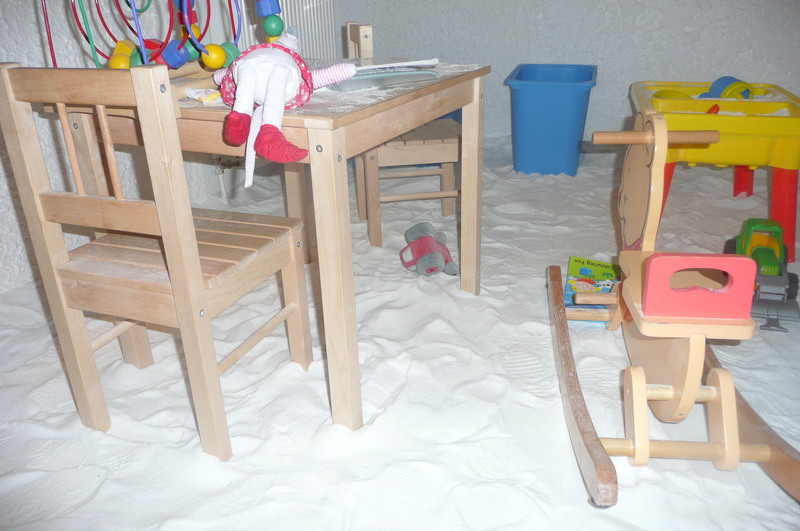 The salt cave in Wandsworth has two rooms one for adults and one for kids. The 3-year-old loves to play in the salt with a bucket and spade, while my 7-year-old watches a movie. Wow! Was this ever helpful! I plan to try it today. (…the salt-steam inhalation, that is…) How long do we inhale the steam? I presume one hour. Get back with me if that is wrong. Thanks so much for this post. How do you learn all this good info? Thank you Katharine, Yes we spent an hour in the salt cave everytime. It’s really relaxing! hey lisa, you should go to Wieliczka, it’s absolutely amazing – one of best polish travel destinations! Krakow is worth seeing too! Yes visiting Wieliczka is on the list of things to do. Looks amazing!